The theme of the weekend is the word “crisp”! Vinho Verde, no matter which one you end up buying, is almost guaranteed to be crisp, acidic, and a perfect wine for resetting your taste buds after every bite of your starters. So what to have with it? Well you could just go through your repertoire of canapés (or is it canopies? Which is the food and which is the sun screen thing?). I’d like to propose something that’s a bit more of a meal to you all. Basically it’s just a prawn salad. But go get yourself some fresh king prawns, and get them toasting on the barbeque outside. This’ll go well with that hint of minerality in the wine. 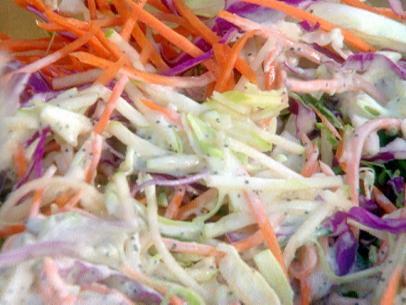 Then when it comes to the salad go make yourself a DIY coleslaw. Keep it crunchy, light, and throw in a few bits of apple here and there to match up the fruit flavours. The acidity in the wine will lift the creaminess of the coleslaw, and the whole thing will be light and tasty. #NWTW Week 30: What Is Vinho Verde? cheers boss, hope you like it! ah, that’ll be the easy bit, followed by the fun bit! Drinking and eating! ← #NWTW Week 30: What Is Vinho Verde?